Does Cloudshift save a creature from instants? Is there a time when you can activate abilities or cast spells before a creature with 0 or less toughness dies? 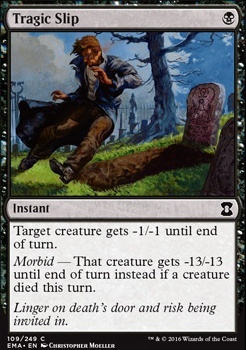 Morbid — That creature gets -13/-13 until end of turn instead if a creature died this turn. AECorp i would use the Tragic Slip instead of Abrupt Decay . Also, for lands to cut Evolving Wilds, Llanowar Wastes, Phyrexian Tower, and Svogthos, and put in 4 more basic lands. Should be good then. I'll take out Gaze of Granite , but I'm not sure about the replacement. Maybe Tragic Slip , or Languish , or Retribution of the Ancients ? I considered Abrupt Decay , but I'd like to go be able to kill bigger threats (CMC wise, though I mentioned Tragic Slip 'cause I have one in my collection lol). I'm not sure about the number of lands I'm running. Should I add more? Or if I cut some of the "fancy" lands like you said, which lands should I cut first? And what should be the replacements? I was thinking on adding Twilight Mire and Overgrown Tomb soon. 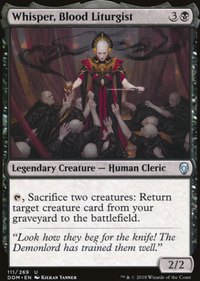 What are some of the most popular instants and sorceries according to EDHREC? Putrefy , Utter End , Terminate , Mortify , Krosan Grip , Hero's Downfall , Crosis's Charm , Bant Charm , Sylvan Reclamation , Go for the Throat , Doom Blade , Murder , Grixis Charm , Cancel , Dreadbore etc. What do these have in common? Well, they are bad removal (or countermagic... or both), all of which are overcosted. Why? Well, these all fall under different categories, however, I will go from the easiest to explain to the hardest. Cancel is too expensive, countermagic should be one or two mana so you don't have to clearly have a sign up that you are holding countermagic. This is really cheap, and I can't compete with that, but Mana Leak or Counterspell would be better in the spot tenfold. Murder is the same, as creature removal, but at least can be cast on endsteps. The issue lies with that many spells cost less, like even Doom Blade , which I also don't like, or do more, like Terminate , another I also don't like. Disdainful Stroke is way too specific, so many spells costs 3 or less you may hold up the mana multiple turn cycles in a row without a target, wasting mana and a card. Too expensive considering cards like Swan Song , Spell Pierce , Red Elemental Blast , Flusterstorm , etc. exist. Even at a low price Mana Leak , Negate , etc. do work. Doom Blade and Go for the Throat are the same, except they still have application when used on an endstep. 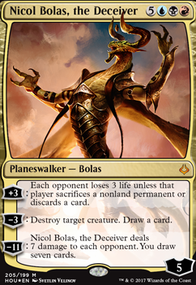 Too expensive despite that, as Swords to Plowshares , Path to Exile , Dismember , Fatal Push , etc. exist if you can spend the money, while on a budget Murderous Cut , Tragic Slip , etc. do a lot. Hero's Downfall is just a worse Ruinous Path , another Murder with slight upside. All of these are bad. Go with any of the options in Murder or Go for the Throat / Doom Blade . Grixis Charm and Crosis's Charm cost Grixis, 3 mana, and are just too hard to cast to be worth the half Vindicate esque effect they do. They bounce anything, kill some things, and one has a minor benefit like 2 extra power. It just doesn't serve consistent enough for removal. 3 mana in Grixis is too much altogether. Bant Charm is nearly the same, with the counter upside. It has a Dispel attached to it, making it the least bad, but for 3 specific mana, it is simply too much to hold up easily. Dreadbore is a sorcery, costs two specific mana, and doesn't hit many permanents. I'd rather a Terminate , though I dislike both. Terminate only hits so many permanents, and costs 2 mana. I'd replace it with most of the cards mentioned at Go for the Throat / Doom Blade above. Sylvan Reclamation five mana is too much unless it is a sweeper. 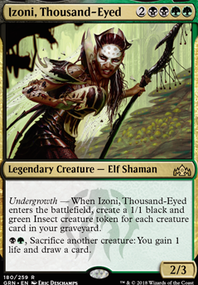 This has utility, hitting two permanents, and is an instant with landcycling, but the mana cost needed to be 1 lower to be efficient. Nature's Claim , Return to Dust , Disenchant , Natural State , Naturalize , etc. are all better. Krosan Grip is sweet against some decks, don't get me wrong, however, is too specific and too high mana cost to be argued better than a Beast Within or Nature's Claim or Natural State . Utter End is too high mana cost to be worth it. 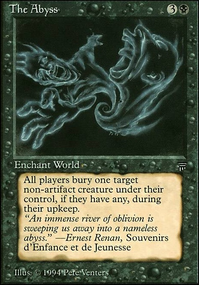 It is a worse Anguished Unmaking , another bad card, and is just too much to warrant using it over a card like Chain of Vapor , Swords to Plowshares , Nature's Claim , Dismember , or any of the other 1 cmc removal spells. Putrefy / Mortify staples for price, not because they are good. 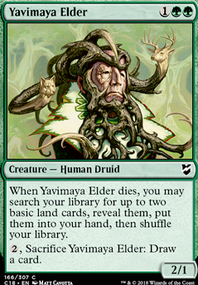 For better options, look at the ones listed at Go for the Throat / Doom Blade or the ones listed at Sylvan Reclamation . Fatal Push and Tragic Slip really can't compare in the current meta, since most if not all creatures in Modern right now (Even the 1 Drops) are at the very least 1/2s, so it would require more setup to make it worth playing ( Tragic Slip is absolutely sweet in Pauper right now though). Also, maybe you could make this a sort of Mono-Black Demon stompy list? 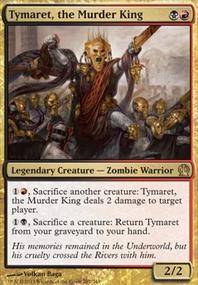 Ammit Eternal is a great threat (at least once Pheonix gets banned or severely nerfed), and Treacherous Pit-Dweller might be interesting. Kinda sad that Vexing Devil isn't a full-on Demon. Anyways, these are just some small suggestions, I wish you the best of luck in surviving Modern's toxic meta!